You won’t be disappointed! I researched and compared to several different Autel devices, Launch Millennium 90 “PRO” and the Foxwell won based on a list of features. I have tested many makes and models from 1998-2015. Vw, Hyundai, Ford, Nissan and it preforms well for each application. Update was easy and fast as long as you read and follow the instructions. For a scanner under $300 this has to be top on the list. 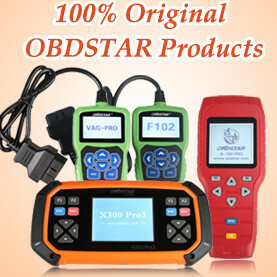 I previously owned an Autel OBD2 basic engine reader, if you are ready for the next step up then buy this scanner. I was originally thinking of spending $1,300 for a full system and am now realizing you don’t need it to do most of the work. The live data on this device is sufficient to diagnose problems. The Foxwell reads all the major systems you need. Even though I have yet to use it, the product came as described. I did plug it in, and everything “seems” to work. (Side note: you need to plug it in to a car/computer for it to actually turn on) it does a lot of functions for the costs and its light weight and comes in a hard case to keep it protected in a garage/car… I’d recommend it! 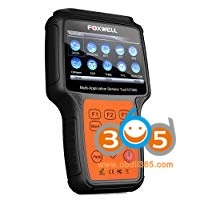 Foxwell NT650 is a new and cost-effective universal diagnostic tool for technicians. 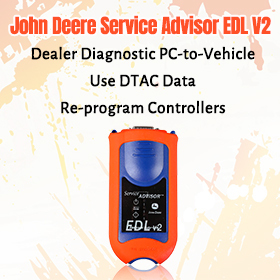 With the scan tool will diagnose obdii fault codes, and clear fault codes. In addition, the mainly function of the nt650 scanner is car service reset, such as when you need bleeding the ABS brake system,or after you replace the throttle body, and other situation, the nt650 service tool will help you bleed abs brake, adapt throttle body, reset airbg, activate the brake control system, bleeding brake fluid, reset brake, ect. Foxwell NT650 is a powerful obd2 scanner that can cater to the needs of technicians, enthusiasts, DIYers, and professionals as well. It also offers bidirectional tests conduction and is quite reliable. Foxwell NT650 full application service tool can read and clear ABS and SRS codes pretty well. The former helps prevent tire skidding while the latter controls the airbag system. EPB is used to make a vehicle standstill on the road. This scanner can read EPB codes related to the electronic brake system. It lets you perform the maintenance of the brake system, activates/deactivate it, open/close brake pads, etc. Moreover, it can also read and help clear SBC codes. These codes point towards a fault in the brake system and can help you understand it better. 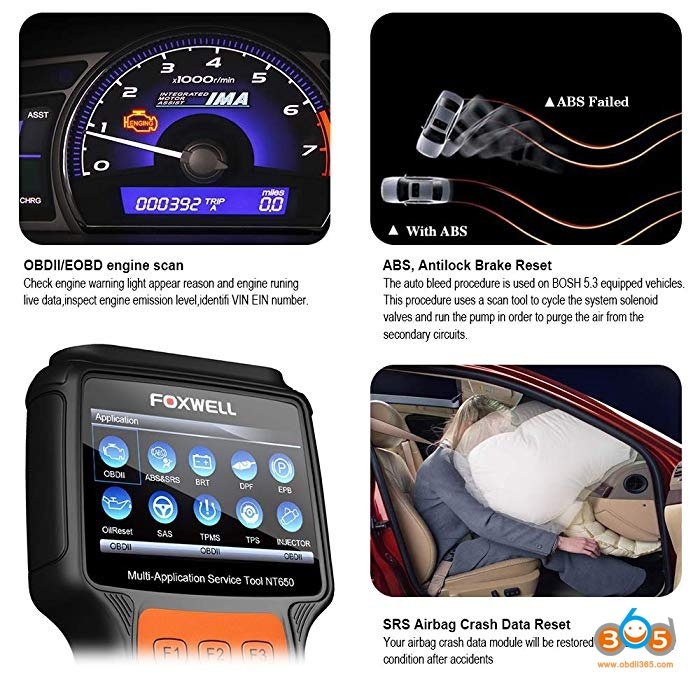 Foxwell NT650 Automaster is capable of reading plenty of ECU related codes such as engine misfires, fuel trim, EVAP, catalytic converter problems, oxygen sensor codes, etc. It helps to measure the rate of turn of a steering wheel and the position angle as well. TPMS helps to monitor the air pressure and trigger warning light as well. The oil service light turns on when there isn’t enough oil in the engine. This OBD scanner offers this feature as well. You can reset the light with just a single button in GM models. For others, you’ll have to do it manually. This scanner can read the oil service code and notify you when it’s time to change the oil. DPF allows reading exhaust system trouble codes. Lets you register a new car battery, shows battery details, and also reads faults in the battery system. Reads camshaft gear related codes and notifies you about sensor malfunctions that take place in the camshaft gear. 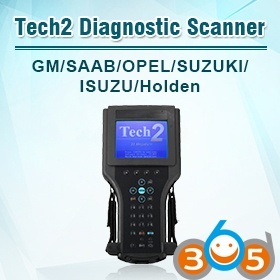 This scanner does not only diagnose obd2 trouble codes but also clears and resets them. For example, if you change the throttle body, FOXWELL NT650 will adapt it. 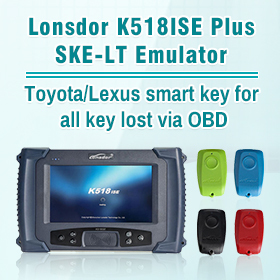 Since FOXWELL NT650 can support supports all 10 test modes of obd2, it’s able to read almost all the basic codes including CEL, I/M readiness, freeze frame, manufacturer specific and permanent codes. 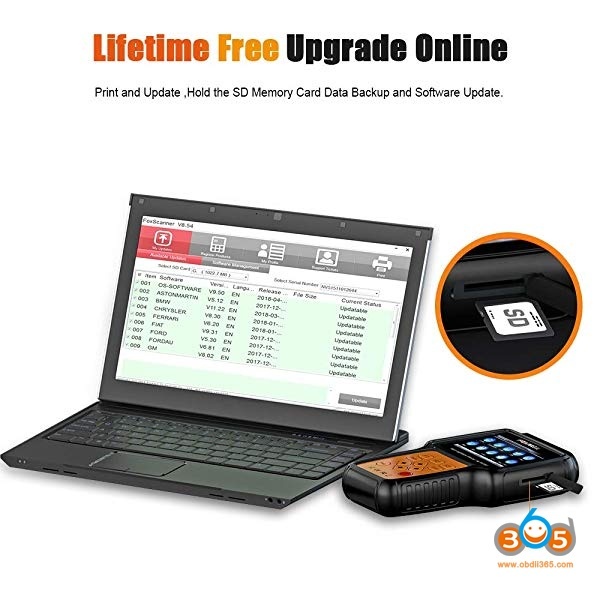 This obd2 scanner is capable of supporting all 1996 and newer car models that are obd2 supported. Pick this one only if you’re comfortable with wired devices. The good thing is that the wire is reliable and long enough to offer comfort. However, those who want a mobile device may miss Bluetooth connectivity. You’ll not have to worry about the device going kaput anytime soon as the company offers a one-year warranty on the product. The customer service is very good and you can easily get a replacement in case there are issues with the device. Rest assured you will get the best production for years to come. The company offers free updates for lifetime. However, you cannot update it from a MAC system. This is one of the few scanners out there that can perform bidirectional tests. It can run specific tests without any trouble. With this tool, you will also offer increased security as it lets you compare the speed of wheel by sending signals through ABS motor test. The device also lets you keep an eye on actuators and gears. This can help you prepare in advance as the device can warn you in case something is wrong with the device. Moreover, you can also perform lamp tests, service bleed/auto bleed test as well with this scanner. What is the difference between the nt624 and 650? 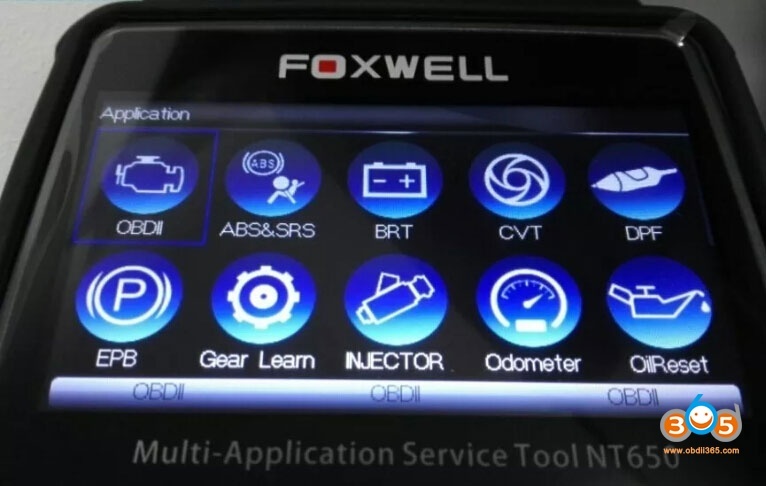 The foxwell nt624 is a full system diagnostic scanner, it can read and clear error codes for all diagnosable modules (engine, transmission, ABS, airbag, EPB, heating/air conditioning control, etc.) and show live sensor data of those modules, in addision, it provides EPB service and oil light reset. 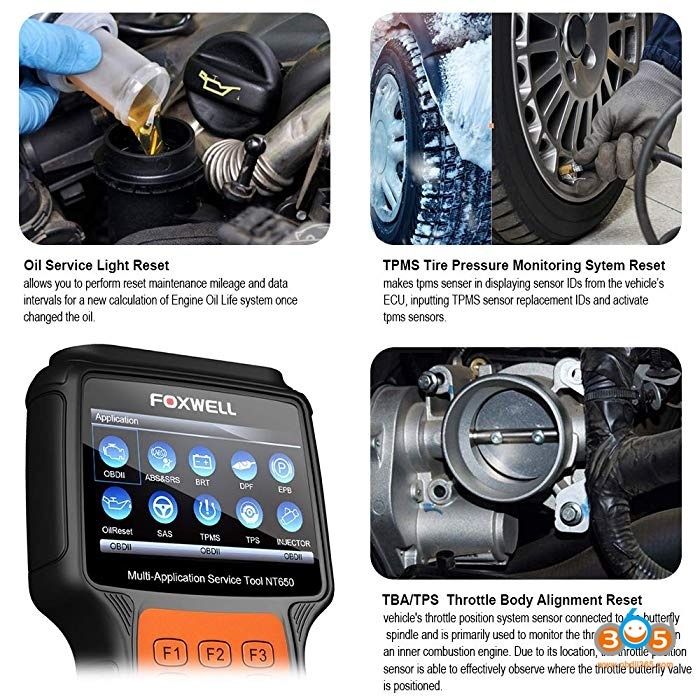 The foxwell nt650 is a multi-application service tool, which provides autolock brake reset, airbag crash data reset, steering angle sensor calibration, electronic park brake reset, diesel particulate filter reset, Oil service light reset, tire pressure monitor system reset, throttle body alignment reset, battery mangement service, transmission function,ect. Besides, nt650 can also work on all obd2 cars and it has full obd2 functions ( read and clear obd2 codes, i/m readiness, live freeze data, live O2 sensor data, ect). I hope you find the information helpful. Any more question, please contact us freely. Why does the nt644 cost twice as much as the nt650? 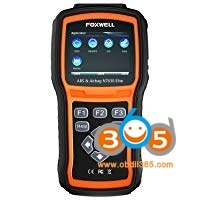 The foxwell nt644 is a full system diagnostic scanner with all special functions. 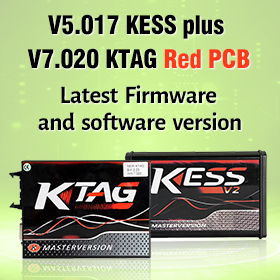 The only difference between NT644 plus and nt650 is the NT650 can not provides full system diagnostic. 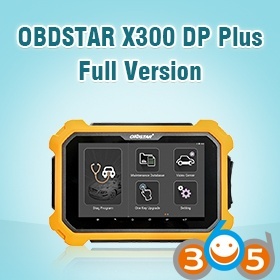 NT650 provides obd2 diagnosis and special functions(ABS reset, SRS crash data reset, SAS calibration, EPB reset, DPF, Oil service light reset, TPMS reset, throttle body alignment reset, battery mangement service, ect. ). What is the difference between Foxwell NT650 and FOXWELL NT630 elite? 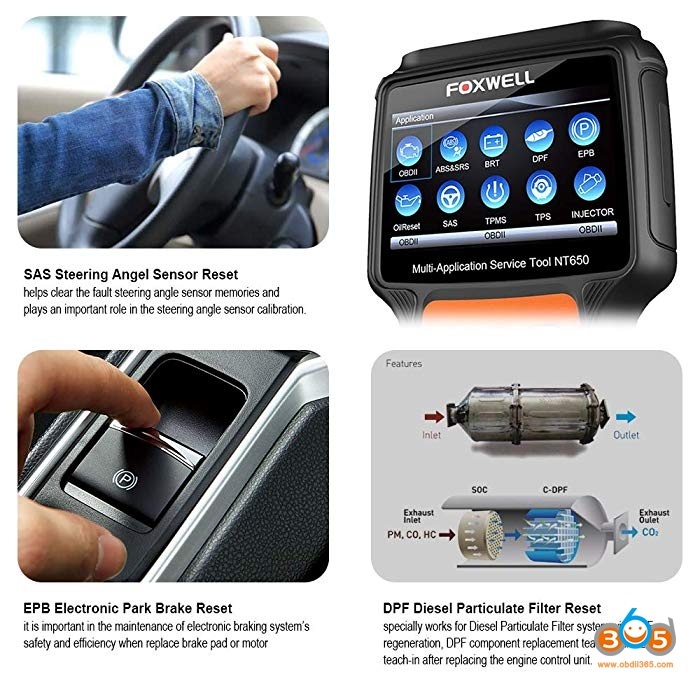 The difference is that FOXWELL NT650 offers ABS, SRS, and many other advanced features such as BRT, EPB, DPF, SAS, TPS, TPMS, TBA, etc., while FOXWELL NT630 Elite only offers ABS and SRS.